Cute puppy and internet celeb Boo is the perfect pick-me-up for a Monday morning. If you haven't yet been introduced to this adorable fluffball, prepare to spend hours "aww"-ing over this cute puppy. 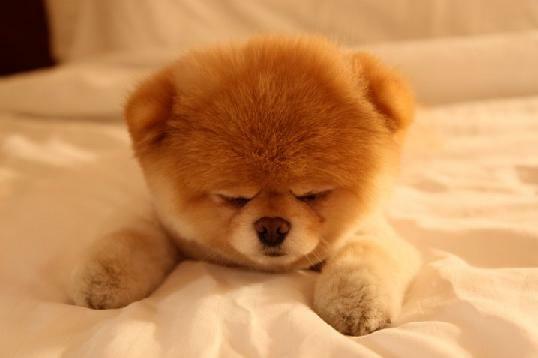 With over 832,000 Facebook friends, Boo is not just any pomeranian. Boo (or rather, his owner) regularly posts pictures and videos on his Facebook page.